I have been social media expert for 7 years and I am the Co-Founder of two technology companies. I help small to medium businesses understand the various social media tools and strategies out there and how they can be leveraged for internal collaboration or for external communication/marketing/relationship building (or other business goals and objectives). I understand the value of a potential customer visiting your website, and how to capture their contact details, and automate the backend of your website to send autoresponders, broadcasts and newsletters. Setting up an affiliate program for you, to have partners and joint ventures to sell help your products and services, is a vital part of your online growth and brand awareness. 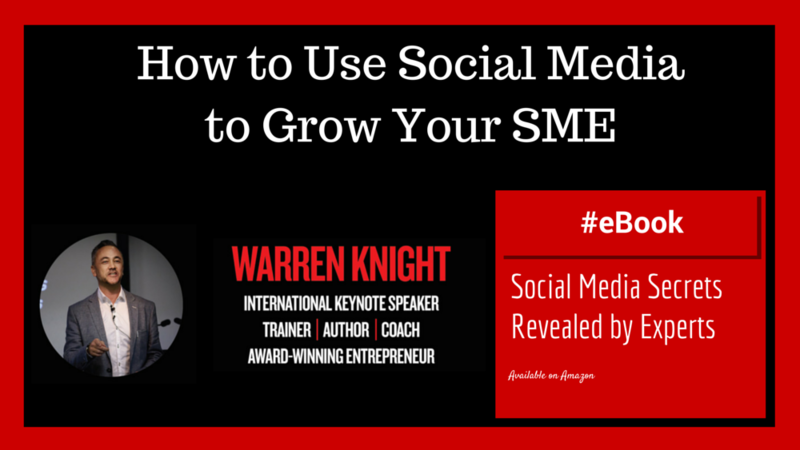 This eBook shares with you everything you, as an SME will need to make social media a success for your business.